Drawing upon the massive redevelopment catalyzed by the government-led urban renewal in Hong Kong in the past two decades, Shu-Mei Huang recharges the story of post-colonial Hong Kong through care, displacement, and how care is displaced in urban governance. Theorizing "carescapes" as a heuristic device, Huang tracks how care is displaced, undervalued and even exploited in transforming urban landscape. 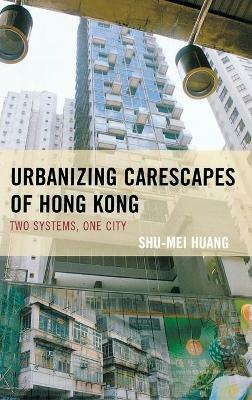 In a rather counter-intuitive way, Urbanizing Carescapes of Hong Kong: Two Systems, One City considers the post-colonial picturing of "One Country, Two Systems" as insufficient if not misleading in understanding the city of Hong Kong and its changing ties with the world. Huang illustrates the way in which each urban citizen is propelled to be a self-enterprising subject and local urban initiatives are becoming cross-border investments upon global mobility. In an era when putatively both the talents and capital are moving toward Asia, the book illuminates how dynamism of colonialism is sustained rather than disappears within the two systems in one city.